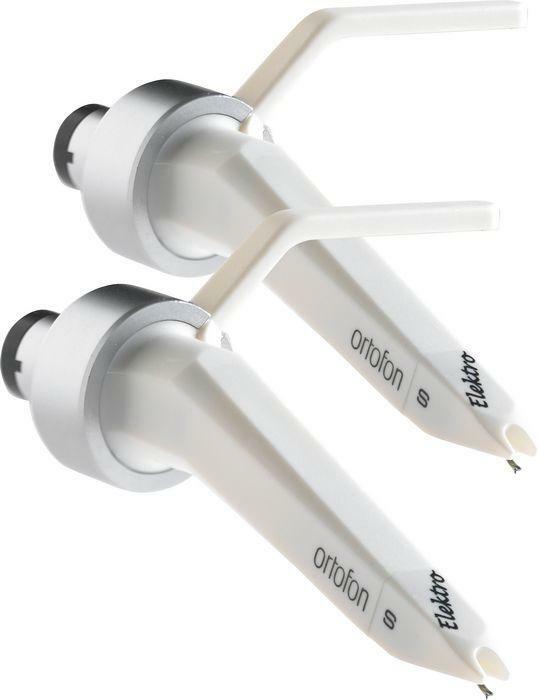 Ortofon CC Elektro Twin Cartridges DJParts - All Variety of Parts that DJ Needs. This techno cartridge was built in close relationship with DJs. The rubber suspension is especially developed for scratch and back cueing. It uses a spherical diamond and projects a high output (7.5 mV). Several Ortofon technologies make it possible to realize high sound quality and low record wear at the high tracking forces that are necessary in disco environments. DJ's all over the world claim very high demands to their professional equipment, among which the cartridges plays their decisive part by realizing that scratching, back-cueing, and live artistic performance are a big part of the show. Reliability and robustness is vital, when the cartridges night after night will have to withstand these demands in environments with extreme sound pressure and vibration.